Spellbinding complexity. Deep, dark, and intense. 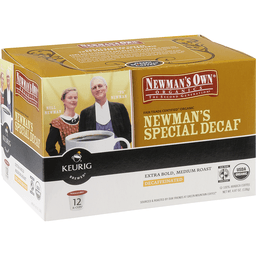 For use in all Keurig K-Cup brewers. Brew a single cup at the touch of a button. 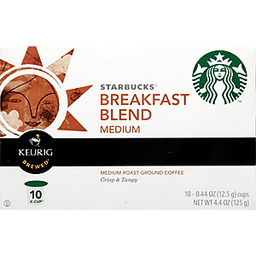 Keurig K-Cup systems brew hundreds of K-Cup pod varieties from leading brands you love. Enjoy coffee, tea, hot cocoa, iced beverages, and more at the touch of a button with the quality you expect from Keurig. Long before you've taken your first sip, we've been finding and roasting the highest quality coffee in the world while building good relationships with the farmers who grow it. When our customers have the chance to enjoy the freshest, best-tasting coffee around, we know we've done a good day's work. 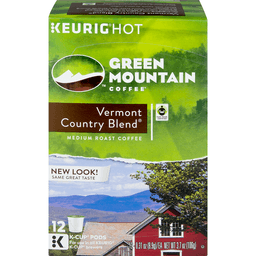 For Inquiries Contact: Keurig Green Mountain, Inc. 1-866-901-Brew/1-866-901-2739. 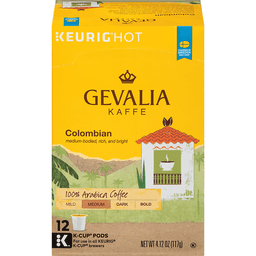 www.Keurig.com. 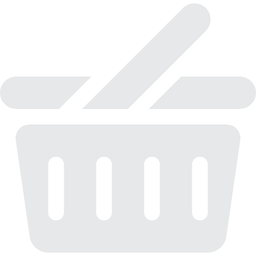 Find us on Facebook.com/Keurig or Twitter.com/Keurig. This package is made with a minimum of 35% post-consumer materials. EcoLogo: Environmental choice. EcoLogo certified printing inks. FSC: Recycled - Packaging made from recycled material. www.fsc.org. Made in Canada. Printed in Canada. Classically balanced with a ripe fruit finish. Fair Trade Select. Fair Trade Certified. 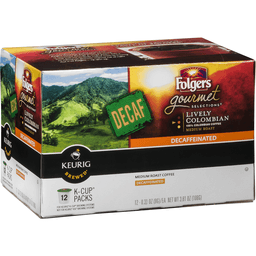 For use in all Keurig K-Cup brewers. Brew a single cup at the touch of a button. 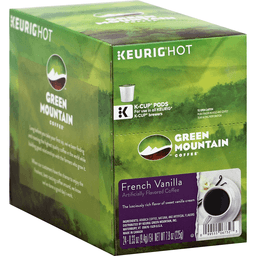 Keurig K-Cup systems brew hundreds of K-Cup pod varieties from leading brands you love. Enjoy coffee, tea, hot cocoa, iced beverages, and more at the touch of a button with the quality you expect from Keurig. Long before you've taken your first sip, we've been finding and roasting the highest quality coffee in the world while building good relationships with the farmers who grow it. When our customers have the chance to enjoy the freshest, best-tasting coffee around, we know we've done a good day's work. 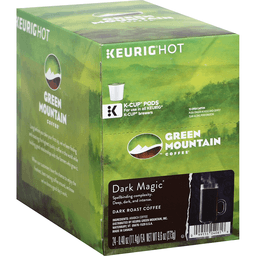 For inquiries contact: Keurig Green Mountain, Inc. 1-866-901-Brew/1-866-901-2739; www.Keurig.com. 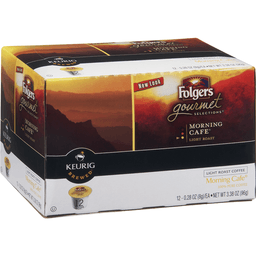 Find us on Facebook.com/Keurig or Twitter.com/Keurig. This package is made with a minimum of 35% post-consumer materials. Printed in the USA. Dark and sultry sweetness. Fair Trade Certified organic. Fair Trade Certified. USDA organic. 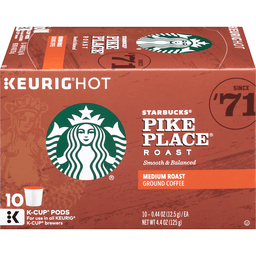 For use in all Keurig K-Cup brewers. Certified organic by QAI. Brew a single cup at the touch of a button. 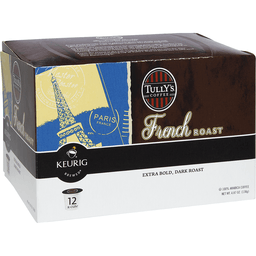 Keurig K-Cup systems brew hundreds of K-Cup pod varieties from leading brands you love. Enjoy coffee, tea, hot cocoa, iced beverages, and more at the touch of a button with the quality you expect from Keurig. Long before you've taken your first sip, we've been finding and roasting the highest quality coffee in the world while building good relationships with the farmers who grow it. When our customers have the chance to enjoy the freshest, best-tasting coffee around, we know we've done a good day's work. 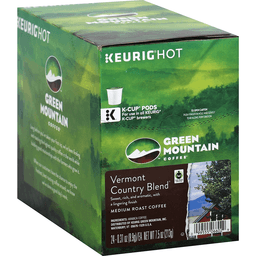 For Inquiries Contact: Keurig Green Mountain, Inc. 1-866-901-Brew/1-866-901-2739. 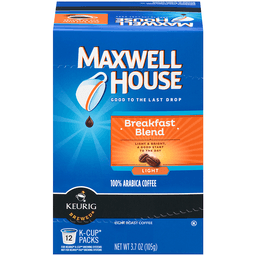 www.Keurig.com. 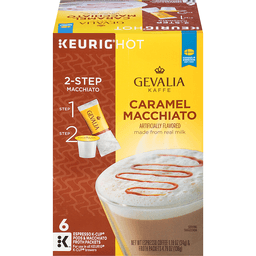 Find us on Facebook.com/Keurig or Twitter.com/Keurig. This package is made with a minimum of 35% post-consumer materials. Printed in the USA. 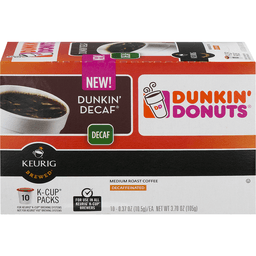 For use in all Keurig K-Cup brewers. Heavy-bodied coffee with a dark and toasty flavor. Brew a single cup at the touch of a button. 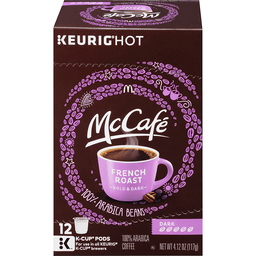 Keurig K-Cup systems brew hundreds of K-Cup pod varieties from leading brands you love. Enjoy coffee, tea, hot cocoa, iced beverages, and more at the touch of a button with the quality you expect from Keurig. Long before you take your first sip, we've been finding and roasting the highest quality coffee in the world while building good relationships with the farmers who grow it. When our customers have the chance to enjoy the freshest, best-tasting coffee around, we know we've done a good day's work. 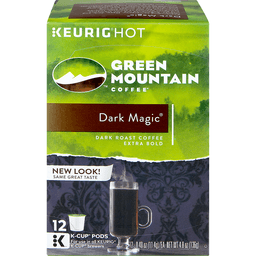 For inquiries contact: Keurig Green Mountain, Inc. 1-866-901-Brew/1-866-901-2739. wwww.Keurig.com. 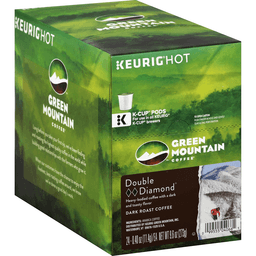 Find us on Facebook.com/Keurig or Twitter.com/Keurig. This package is made with a minimum of 35% post-consumer materials. Printed in the USA. 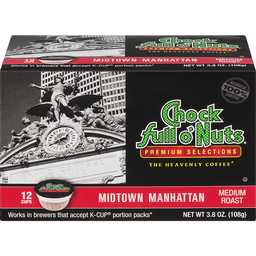 Buttery, sweet flavor of warm roasted nuts. 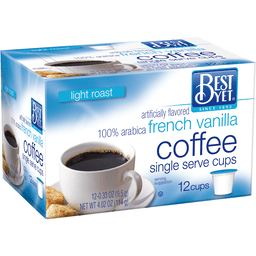 Artificially flavored coffee. 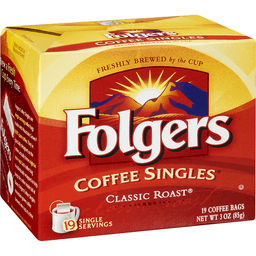 For use in all Keurig K-Cup brewers. Brew a single cup at the touch of a button. 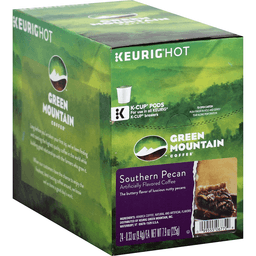 Keurig K-Cup systems brew hundreds of K-Cup pod varieties from leading brands you love. Enjoy coffee, tea, hot cocoa, iced beverages, and more at the touch of a button with the quality you expect from Keurig. Long before you've taken your first sip, we've been finding and roasting the highest quality coffee in the world while building good relationships with the farmers who grow it. When our customer have the chance to enjoy the freshest, best-tasting coffee around, we know we've done a good day's work. 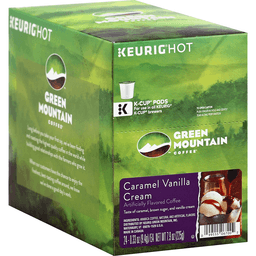 For Inquiries Contact: Keurig Green Mountain, Inc. 1-866-901-Brew/1-866-901-2739; www.Keurig.com. 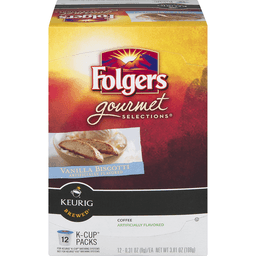 Find us on Facebook.com/Keurig or Twitter.com/Keurig. This package is made with a minimum of 35% post-consumer materials. Printed in the USA. 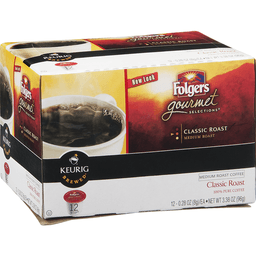 A hearty-full-bodied blend of medium and dark roasts. Bold yet refined. Strong, yet smooth. Fair Trade certified. USDA organic. Fair Trade certified organic. 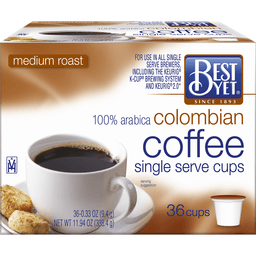 For use in all Keurig K-Cup brewers. Certified organic by TCO CERT. Making the world better one cup at a time! 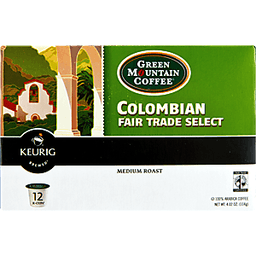 Your purchase of Fair Trade Certified coffee gives farmers better prices for quality products that improve their lives and protect the environment. To learn more, visit www.FairTradeCertified.org. Brew a single cup at the touch of a button. 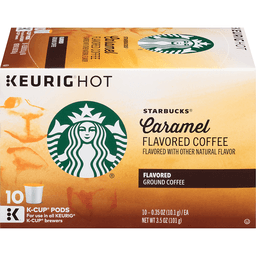 Keurig K-Cup systems brew hundreds of K-Cup pod varieties from leading brands you love. Enjoy coffee, tea, hot cocoa, iced beverages, and more at the touch of a button with the quality you expect from Keurig. 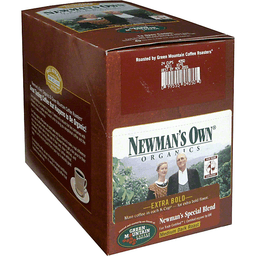 Newman's Own Foundation continues Paul Newman's commitment to use all royalties and profits that it receives from the sale of this product for charitable purposes. Paul Newman and Newman's Own Foundation have given over $400 million to thousands of charities since 1982. Learn more at newmansownfoundation.org. This package is made with a minimum of 35% post-consumer materials. 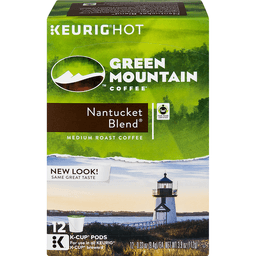 For inquiries contact: Keurig Green Mountain, Inc. 1-866-901-Brew/1-866-901-2739. 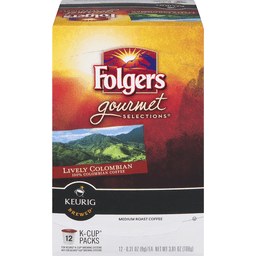 www.Keurig.com. 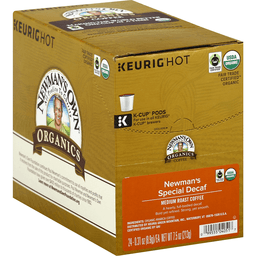 Find us on Facebook.com/Keurig or Twitter.com/Keurig. EcoLogo. EcoLogo Certified printing inks. FSC: Recycled - Packaging made from recycled material. www.fsc.org. Printed in Canada. Made in Canada. Artificially flavored. The lusciously rich flavor of sweet vanilla cream. 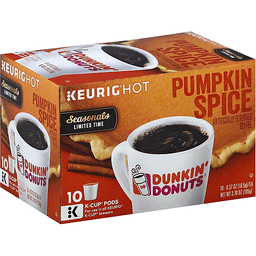 For use in all Keurig K-Cup brewers. Brew a single cup at the touch of a button. Keurig K-Cup systems brew hundreds of K-Cup pod varieties from leading brands you love. Enjoy coffee, tea, hot cocoa, iced beverages, and more at the touch of a button with the quality you expect from Keurig. Long before you take your first sip, we've been finding and roasting the highest quality coffee in the world while building good relationships with the farmers who grow it. When our customers have the chance to enjoy the freshest, best-tasting coffee around, we know we've done a good day's work. This package is made with a minimum of 35% post-consumer materials. For inquiries contact: 1-865-901-Brew/1-866-901-2739. www.Keurig.com. 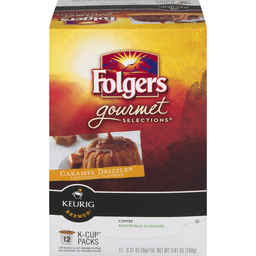 Find us on Facebook.com/Keurig or Twitter.com/Keurig. EcoLogo: EcoLogo Certified printing inks. FSC: Recycled - Packaging made from recycled material. www.fsc.org. Printed in Canada. Made in Canada. Perfectly balanced, bright and sweet. 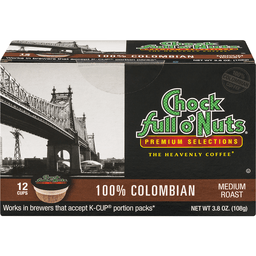 For use in all Keurig k-cup brewers. Fair Trade Certified. Brew a single cup at the touch of a button. 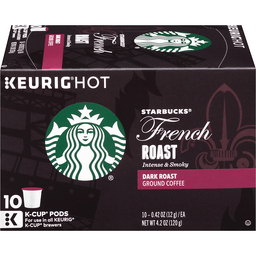 Keurig K-Cup systems brew hundreds of k-cup pod varieties from leading brands you love. Enjoy coffee, tea, hot cocoa, iced beverages, and more at the touch of a button with the quality you expect from Keurig. Long before you take your first sip, we've been finding and roasting the highest quality coffee in the world while building good relationships with the farmers who grow it. When our customers have the chance to enjoy the freshest, best-testing coffee around, we know we've done a good day's work. This package is made with a minimum of 35% post-consumer materials. 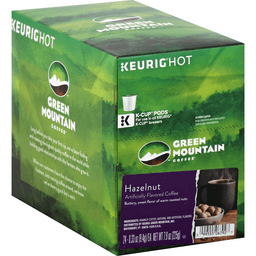 For inquiries contact: Keurig Green Mountain, Inc. 1-888-901-Brew/1-866-901-2739. 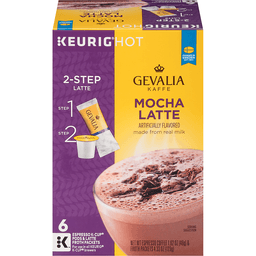 www.Keurig.com. 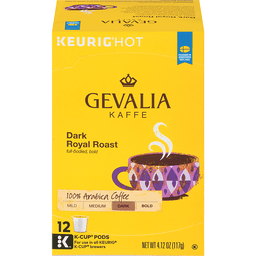 Find us on Facebook.com/Keurig or Twitter.com/Keurig. EcoLogo: Environmental choice. EcoLogo certified printing inks. CCD-040. FSC: Recycled - Packaging made from recycled material. www.fsc.org. Made in Canada. Printed in Canada. Seasonals limited Time. Artificially flavored coffee. 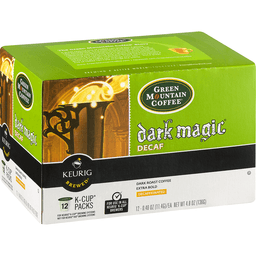 For use in all Keurig K-Cup brewers. Spice up the season with fall flavors like pumpkin, nutmeg and cinnamon. 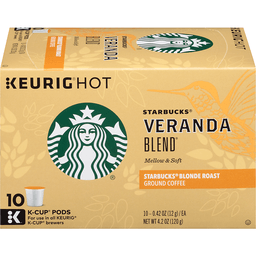 Warm up with a cup of this delicious, seasonal blend. 100% premium Arabica coffee. 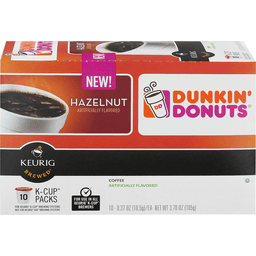 For more information about Dunkin' at Home products contact: The J.M. Smucker Company Orrville, OH 44667 USA. 1-800-374-5308/dunkinathome.com. 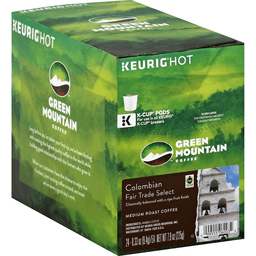 For brewer inquiries contact: Keurig Green Mountain, Inc. 1-866-901-Brew/1-866-901-2739. 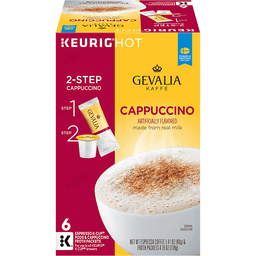 www.Keurig.com. Find us on Facebook.com/Keurig or Twitter.com/Keurig. This package is recyclable. 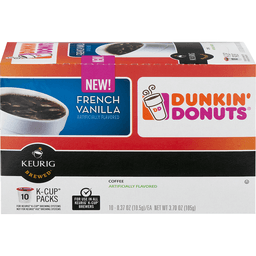 Bring home everything you love about Dunkin' Donuts with our Keurig K-Cup pods. 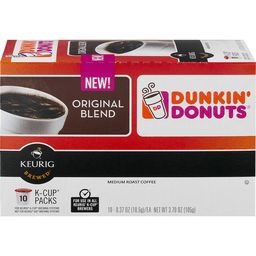 Enjoy an authentic Dunkin' Donuts experience in no time at all with our signature-blended beams and rich aroma. It's just another way we keep you running. Printed in the USA. Sweet, rich, and aromatic, with a lingering finish. Fair Trade Certified. For use in all Keurig K-Cup brewers. Brew a single cup at the touch of a button. 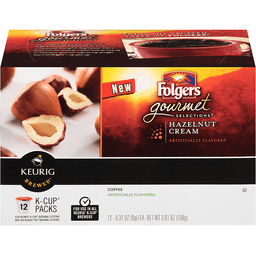 Keurig K-Cup systems brew hundreds of K-Cup pod varieties from leading brands you love. Enjoy coffee, tea, hot cocoa, iced beverages, and more at the touch of a button with the quality you expect from Keurig. Long before you've taken your first sip, we've been finding and roasting the highest quality coffee in the world while building good relationships with the farmers who grow it. When our customers have the chance to enjoy the freshest, best-tasting coffee around, we know we've done a good day's work. 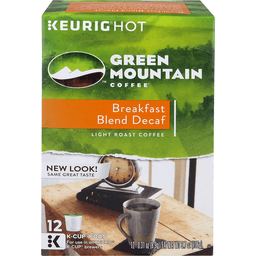 For Inquiries Contact: Keurig Green Mountain, Inc. 1-866-901-Brew/1-866-901-2739. 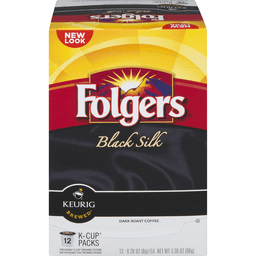 www.Keurig.com. 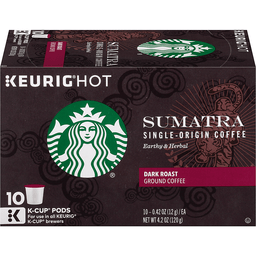 Find us on Facebook.com/Keurig or Twitter.com/Keurig. This package is made with a minimum of 35% post-consumer materials. Printed in the USA. 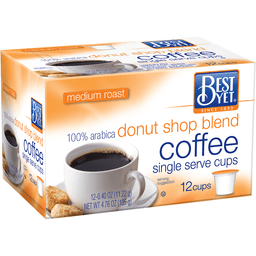 Artificially flavored coffee. Taste of caramel, brown sugar, and vanilla cream. 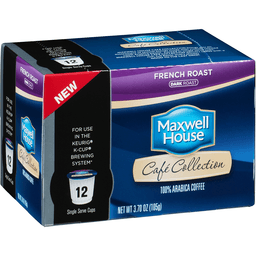 For use in all Keurig K-Cup brewers. Brew a single cup at the touch of a button. 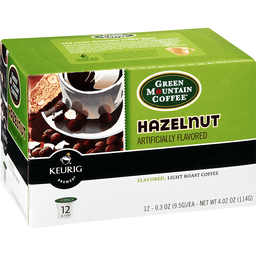 Keurig K-Cup systems brew hundreds of K-Cup pod varieties from leading brands you love. Enjoy coffee, tea, hot cocoa, iced beverages, and more at the touch of a button with the quality you expect from Keurig. Long before you take your first sip, we've been finding and roasting the highest quality coffee in the world while building good relationships with the farmers who grow it. When our customers have the chance to enjoy the freshest, best-tasting coffee around, we know we've done a good day's work. This package is made with a minimum of 35% post-consumer materials. For inquiries contact: 1-865-901-Brew/1-866-901-2739. 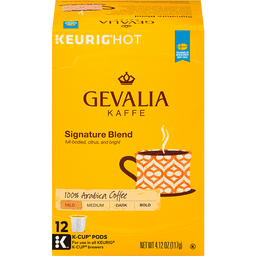 www.Keurig.com. 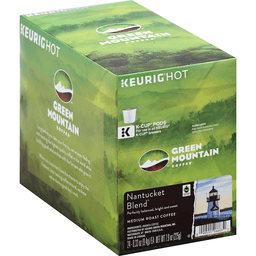 Find us on Facebook.com/Keurig or Twitter.com/Keurig. EcoLogo: EcoLogo Certified printing inks. FSC: Recycled - Packaging made from recycled material. www.fsc.org. Printed in Canada. Made in Canada. Smooth, aromatic, and mild. Our original blend. 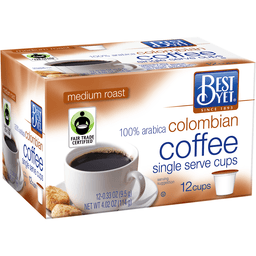 For use in all Keurig K-Cup brewers. Fair Trade Certified. Brew a single cup at the touch of a button. 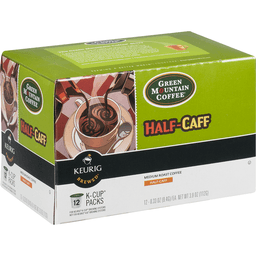 Keurig K-Cup systems brew hundreds of K-Cup pod varieties from leading brands you love. Enjoy coffee, tea, hot cocoa, iced beverages, and more at the touch of a button with the quality you expect from Keurig. Long before you take your first sip, we've been finding and roasting the highest quality coffee in the world while building a good relationship with the farmers who grow it. When our customers have the chance to enjoy the freshest, best-tasting coffee around, we know we've done a good day's work. 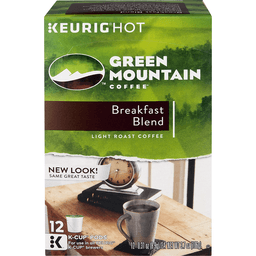 For inquiries contact: Keurig Green Mountain, Inc. 1-866-901-Brew/1-866-901-2739; www.Keurig.com. Find us on Facebook.com/Keurig or Twitter.com/Keurig. This package is made with a minimum of 35% post-consumer materials. EcoLogo: Environmental Choice. EcoLogo Printing Inks. FSC: Recycled - Packaging made from recycles material. www.fsc.org. Printed in Canada. Made in Canada. 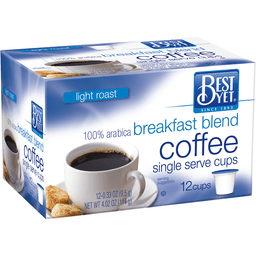 Artificially flavored coffee. The buttery flavor of luscious nutty pecans. 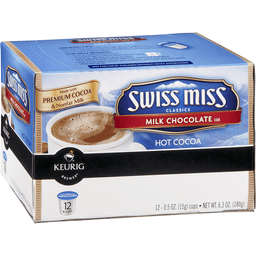 For use in all Keurig K-Cup brewers. Brew a single cup at the touch of a button. 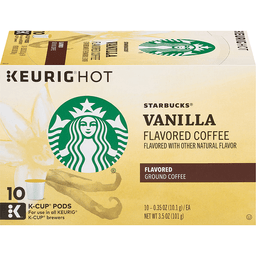 Keurig K-Cup systems brew hundreds of K-Cup pod varieties from leading brands you love. Enjoy coffee, tea, hot cocoa, iced beverages, and more at the touch of a button with the quality you expect from Keurig. Long before you've taken your first sip, we've been finding and roasting the highest quality coffee in the world while building good relationships with the farmers who grow it. When our customers have the chance to enjoy the freshest, best-tasting coffee around, we know we've done a good day's work. For Inquiries Contact: 1-866-901-Brew/1-866-901-2739. 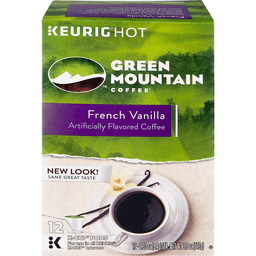 www.Keurig.com. 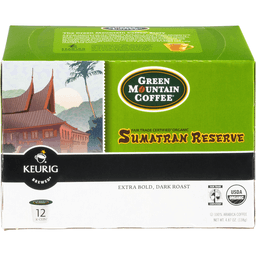 Find us on Facebook.com/Keurig or Twitter.com/Keurig. This package is made with a minimum of 35% post-consumer materials. Printed in the USA. A hearty, full-bodied decaf. Bold yet refined. Strong, yet smooth. Fair Trade Certified. USDA organic. Fair Trade Certified Organic. 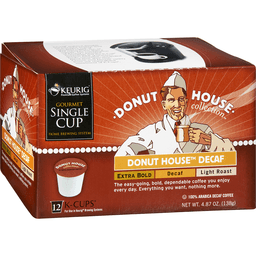 For use in all Keurig K-Cup brewers. All profits to charity. Certified organic by QAI. 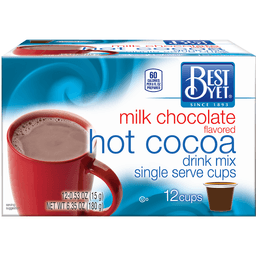 Making the world better one cup at a time! Your purchase of Fair Trade Certified coffee gives farmers better prices for quality products that improve their lives and protect the environment. To learn more, visit www.FairTradeCertified.org. Brew a single cup at the touch of a button. 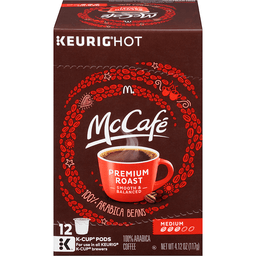 Keurig K-Cup systems brew hundreds of K-Cup pod varieties from leading brands you love. Enjoy coffee, tea, hot cocoa, iced beverages, and more at the touch of a button with the quality you expect from Keurig. 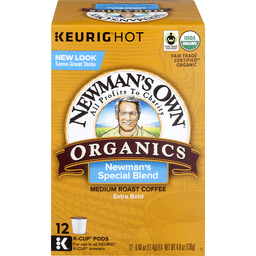 Newman's Own Foundation continues Paul Newman's commitment to use all royalties and profits that it receives from the sale of this product for charitable purposes. Paul Newman and Newman's Own Foundation have given over $400 million to thousands of charities since 1982. Learn more at NewmansOwnFoundation.org. 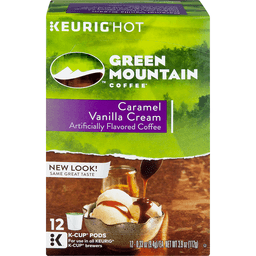 For inquiries contact: Keurig Green Mountain, Inc. 1-866-901-Brew/1-866-901-2739; www.Keurig.com. 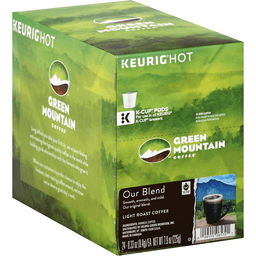 Find us on Facebook.com/Keurig or Twitter.com/Keurig. This package is made with a minimum of 35% post-consumer materials. Printed in the USA.